D.C. drag queens will take to the streets -- 17th Street, to be precise -- for the wildly popular annual High Heel Race on Tuesday night. 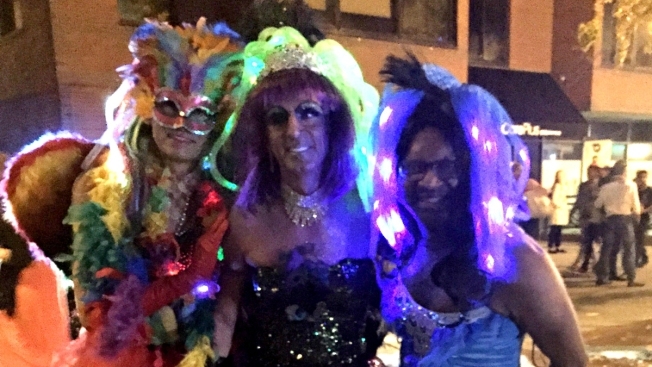 Each year on the last Tuesday night before Halloween, local drag queens show off their elaborate costumes and race down 17th Street in this Dupont Circle tradition. The costume parade starts at 7 p.m., and the race begins at 9 p.m.
You might want to arrive early, as the event always draws a crowd. Temperatures are expected to be in the 60s, Storm Team4 meteorologist Chuck Bell said. Riggs Place, R Street, Corcoran Street, Q Street and Church Street between 16th Street NW and 18th Street NW.